Timothy Snyder, along with state, financial, and health care professionals, will be participating in a panel discussion hosted by Weiner Benefits Group. 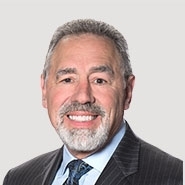 During his portion of the panel discussion, Tim will focus on the Patient Protection & Affordable Care Act (PPACA) from the employer's perspective and discuss the provisions of the Act which will commence on or before September 23, 2010. Additional information regarding this panel discussion is available in the attached file.